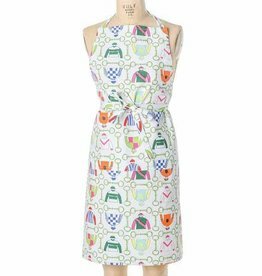 Inspired by horse race champions and the best reason to throw a great party, our Pick Six Half Apron is one of our top-selling equestrian prints. 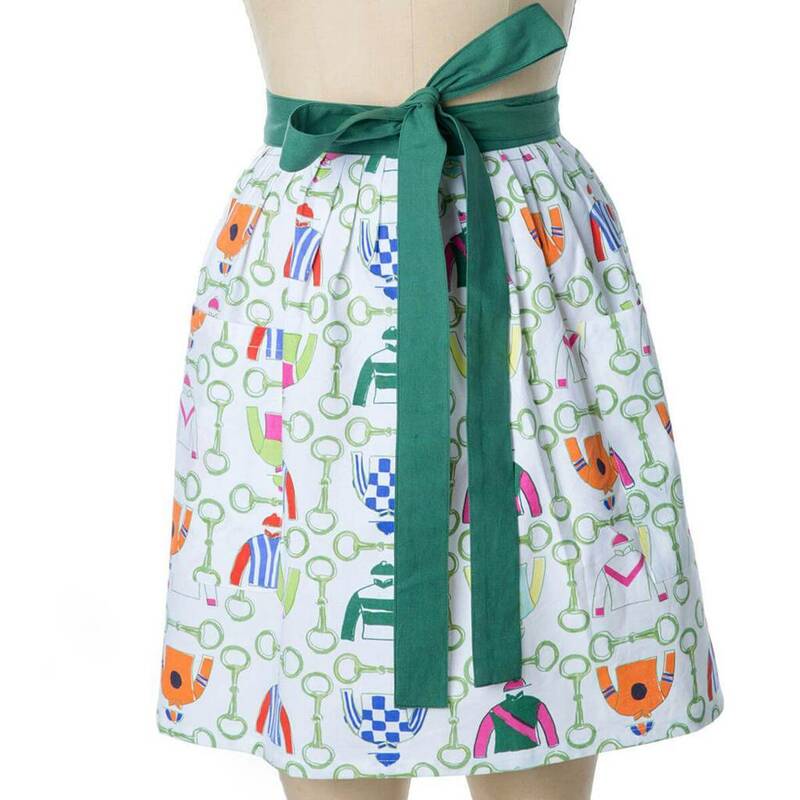 Win guests over with eight colorful jockey silks surrounded by our exclusive horse bit design. Features: 100% Cotton. Machine wash cold, tumble dry low. 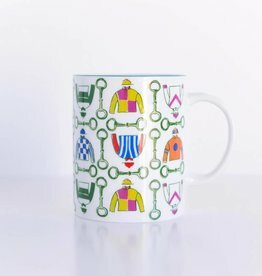 Our exclusive Pick Six Ceramic Mugs are a fun way to enjoy your favorite warm beverage. 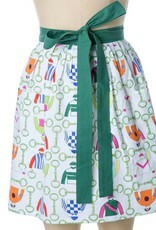 This colorful equestrian print is perfect for derby season or to brighten any event or gathering.